This Sunday June 6, SpeedPoets roll back into InSpire Gallery Bar (71 Vulture St West End) from 2pm boasting a double feature to make the sparks fly in your frontal lobe! The poetry feature will be none other than one-time hermit-derelict-wildman, Billy Jones. Billy is an artist, poet and emotional expatriate born in Camden, New Jersey in 1935. 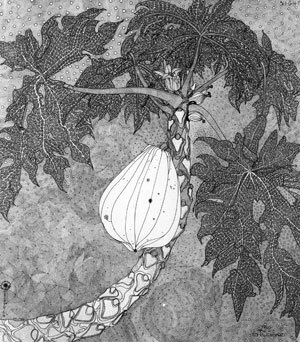 In addition to his seven previously published poetry collections and numerous exhibitions, he has kept a journal of drawings, paintings and poetry every day since 28 June 1975. When asked about Jones’ work, fellow QLD legend Thomas Shapcott said, the mystical awareness of larger forces within the quotidian is what makes his work special … a remarkable record of a life spent simply, and deeply. 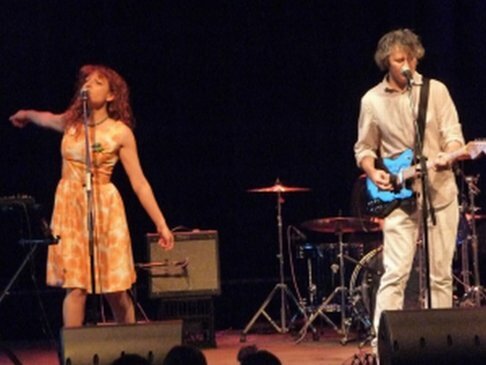 And approaching the mic softly will be Brisbane band, The Stress of Leisure. This will be an acoustic gig for the band, featuring Head-of-Leisure, Ian Powne and delightfully flamboyant keyboardist/singer, Pascalle Burton. 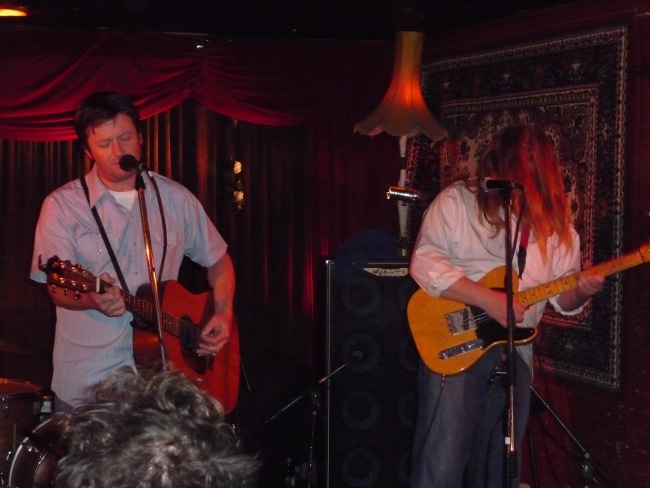 And as a special treat they will be showcasing songs from their eagerly anticipated third album, The Soft Approach. If you have not yet had the pleasure, check out the video to House and Garden from their second album Hour to Hour. As always there will be two rounds of Open Mic, live sounds from Sheish Money, Raffles, Free Zines and for the second time, the SpeedPoets ‘Poetry Rummage Sale’. So make sure you come with some coins in your pocket to take home a bargain or three… all books will be $2 or under! See you at InSpire this Sunday… Entry is a gold coin donation. Well yesterday was incredibly special… waking to a low grey sky, was the perfect start to a day that would only get better. 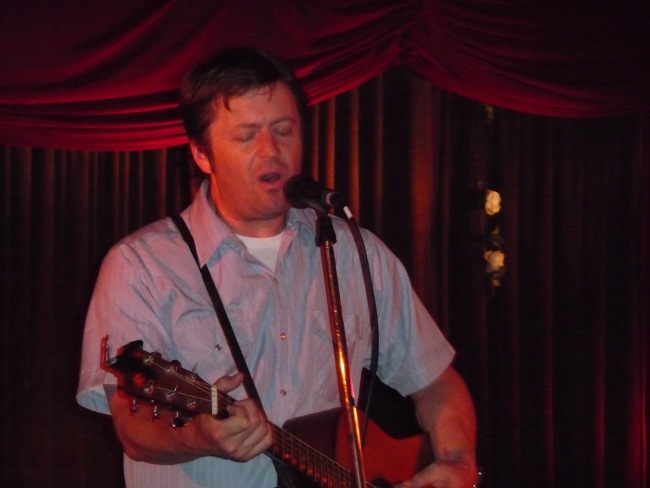 It was the perfect weather for listening to Willy Vlautin. Willy has been a big influence on me as an artist in the last decade. For me, the spareness of his writing, resonates in that space between the heart and the pit of the stomach. That space where darkness and light meet, to create an ache that just keeps itching at you, driving you to look deeper inside yourself, your world and the people in it. So with that big grey sky threatening to burst, we pulled on our jackets and headed in to Avid Reader to hear Willy read from his latest novel, Lean On Pete. As part of the afternoon Salon, there were three other readers programmed from local university creative writing courses. Willy sat in the front row, sipping from his coffee watching intently the three writers who came before him, leaning in to their stories. And when it was his turn to take the mic, he thanked the authors and talked about his love for the independent bookstore. This wasn’t the prerequisite, ‘thank you for having me…’ this was straight from the heart, honest thanks. This humbling sense of honesty, was one of the outstanding features of Vlautin’s reading. There was no rock star ego, just a man and the sweet desperation of his words… words that he has obviously worked and lived hard for. Vlautin lights up when he is reading and talking about his novels. His love for writing stories is clearly a driving force in his life. When asked the difference between writing stories and songs, Willy smiled and said, if you see me walking down the street smiling, then I’m probably writing stories, if you see me hungover, missing a tooth, then I’m probably writing songs. 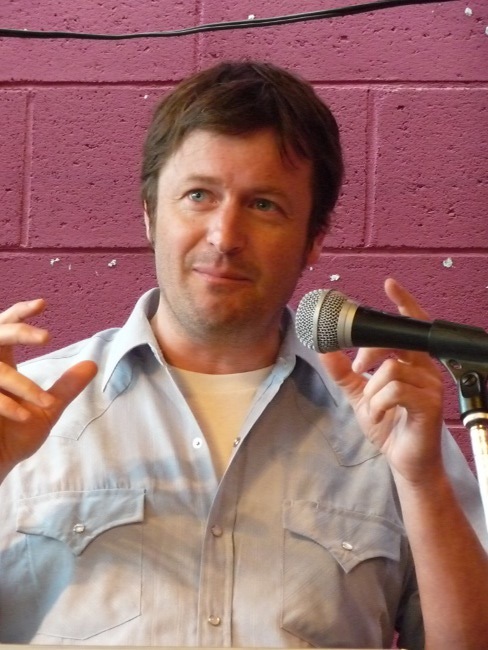 Vlautin admits to being a ‘bit of a sad sack’, and while there is a darkness in the characters (such as young Charley Thompson in Lean On Pete) he so skillfully brings to life, there is an intrinsic hope in his narratives, and it is this hope that lies in wait for the reader/listener willing to take the journey with Vlautin and his band of misfits. At the end of the session, Willy signs books and is eager to engage in conversation with everyone in the queue. He doesn’t quite look comfortable behind the table and is on his feet to shake hands often and thank people for coming along to the reading. I get my books signed and talk to Willy about characters such as Walter from his Postcard Series on Richmond Fontaine’s 2003 album Post to Wire and Allison Johnson from his second novel Northline. We talk about these characters like they are old friends and Willy talks of their futures with clarity, he knows clearly what has happened to all these folk. 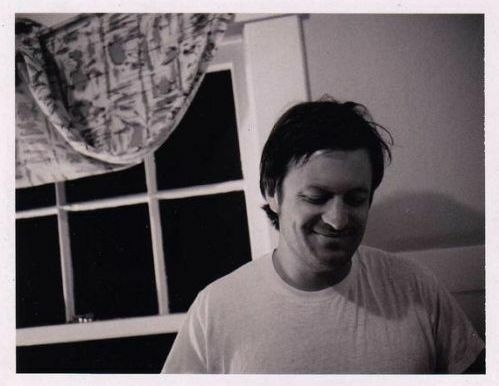 We walk out into an evening that has cleared, our heads full of hope, ready to see Willy shift gears into singer/songwriter mode alongside Richmond Fontaine bandmate, Dan Eccles. The Troubadour is nicely crowded tonight for a bill which also features local youngsters The Honey Month and Brisbane stalwarts Gentle Ben and His Sensitive Side. Willy is again in the crowd for both bands and is clearly a big fan of Gentle Ben. 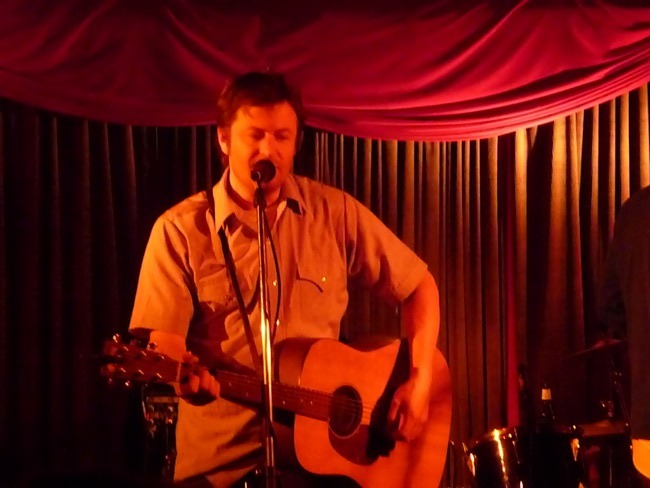 Australian music has been a big influence on Vlautin, as it was the Paul Kelly song So Much Water So Close To Home (based on a Raymond Carver story of the same name) that inspired Vlautin to start writing prose. Vlautin and Eccles are the perfect pairing on stage. They look at ease with each other and at all times are in sync, Eccles’ guitar flourishes rounding out Willy’s well strummed rhythms. One of the real highlights for me was their performance of three of the postcards from Post to Wire (here’s a link to one of them). The tail-between-legs, apologetic ramblings of Walter to his good friend Pete showcase Vlautin as one of the most innovative musical storytellers of this or any other generation. At the end of the night the room is smiling, one of my friends looks at me and says he has written three new poems in his head, and we are all then out into a night filled with stars, Vlautin’s words illuminated in all of us, lucky enough to have been in the room with a truly gifted artist. For those who couldn’t make it along, you can listen to an interview with Willy live from the Sydney Writers Festival here. 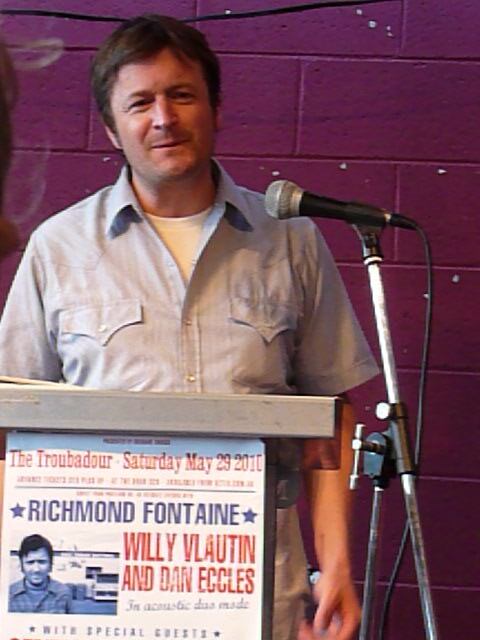 Well, I don’t have to wait long for the first event as tomorrow, singer/songwriter/novelist & Richmond Fontaine front man, Willy Vlautin, hits the stage twice in Brisbane and I will be there to catch both performances. 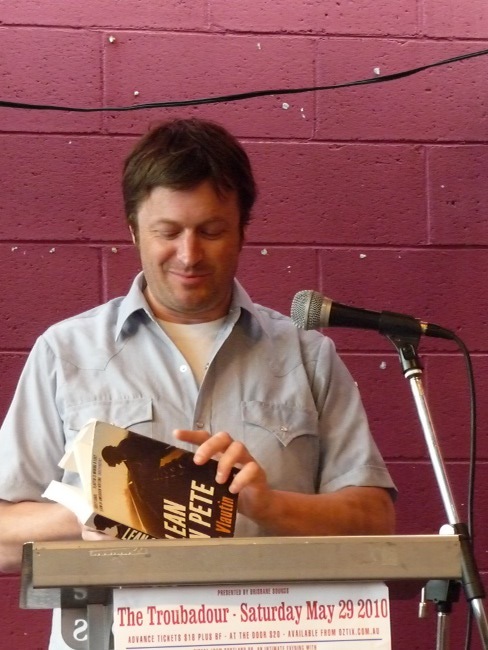 At 4:00pm, Willy will be reading from his latest book Lean On Pete and talking about the writing process at Avid Reader (tickets available here). This for me is the real treat, as Vlautin is one of those rare, outlaw writers, who is farming the rich vein of Americana, much like Steinbeck and Carver, delivering tales from a fractured society, without softening any of the blows. Vlautins prose is achingly real, capturing the unique voice of the fringe dweller and their struggle in all its ragged beauty. You can watch trailers for his last two books Northline and Lean On Pete, with Willy providing the superb backing music on both. Then in the evening he will be teaming up with fellow Richmond Fontaine member, Dan Eccles for an intimate acoustic performance at The Troubadour (tickets available here). To get a taste of what Richmond Fontaine are all about, check out this footage of Willy playing two songs from their acclaimed album, Thirteen Cities, in a motel room, which by the way is so fitting for Vlautin, seeing many of his characters live their lives bouncing from motel to motel (his first book was called The Motel Life). Willy plays The Kid from Belmont St and Capsized from Thirteen Cities. 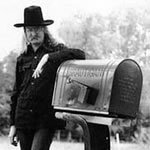 There are some amazing projects underway, focussing on the life and work of the late Richard Brautigan. There is a documentary currently being shot titled For Richard, directed by Paul Swenson and Anthony Lucero and Lucero is also touted to be directing a feature film adaptation of Brautigan’s classic novel, The Abortion: An Historical Romance 1966. Let’s hope both of these projects see the light of day, as previously there were plans to make a feature film based on his novel The Hawkline Monster, with Jack Nicholson and Dustin Hoffman touted as playing the cowboys… imagine that!!! 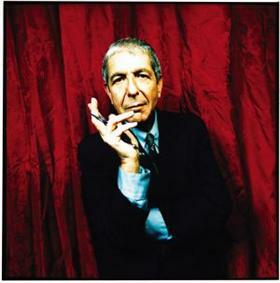 For those who missed the glory of Cohen in 2009, never fear, the great man seems to be taking a leaf from the Bob Dylan tour handbook and is returning to these shores in November this year. Seriously, if you didn’t see him last time, don’t miss this. For me it is a concert experience that i will carry with me forever. My review of his February 2009 concert is testiment to that. Presale tickets for Frontier Touring members go on sale Monday May 31 at 12pm. The final event in the Riverbend Poetry Series for 2010 is coming up and it is going to be one heck of a celebration! The event will be the launch of the 2010 QLD Poetry Festival program as well as the launch of a new CD – A Million Bright Things – featuring many of the artists from the 2009 QPF Program. And if that is not enough to get the inner poet clicking their heels, there will also be feature performances from the word-spitting, rhyme-spinning Darkwing Dubs, the soulfully elegant Suzanne Jones and the author of some mad and magnificent poems and stories, Ynes Sanz. Ynes Sanz won the Arts Queensland Val Vallis Award in 2005. 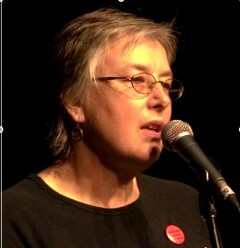 Her poem ‘Taken as Required’ was short-listed for the 2010 ABR poetry prize. In 2006/7 Ynes was on the QPF Committee. An experienced workshop presenter, poetry judge and editor, in 2007 she judged the Vallis with John Tranter and Luke Beesley. In 2009 she co-judged the QPF Short Film Competition with Francis Boyle. Her short stories, haibun and other verse can be found online and in print. Some of her children’s poems and haiku are installed in the Children’s Rainforest Hide’n Seek Trail at Mt Coot-tha Botanic Gardens. Publications include Lady with Weasel, SweetWater Press, 2005; Talking Poetry Blues, 2006 and Fanny the Flying Housewife & other stories: poems for mad and magnificent women, 2009. Ynes is currently working on Flash Harry and other stories: poems about mad and memorable men, a companion volume to Fanny the Flying Housewife. I believe we all have artistic beacons… those shining lights that guide us through the years and soundtrack the highs and lows of our lives. For me, Dylan has always shone brightly. His words have circled me for my entire 39 years and I have to say, I cannot imagine life without Dylan. Sharing a birthday with him, well that’s just icing on the cake! In 1985 I saw my first ever concert, it wasn’t Bob, but it was a man inspired by him – Bruce Springsteen and The E-Street Band. I still remember the sheer exhilaration of that show, the incredible feeling of having music flood over me in the live arena. The following year, I had my second concert experience… this time it was Bob, backed by the legendary Tom Petty & The Heartbreakers. 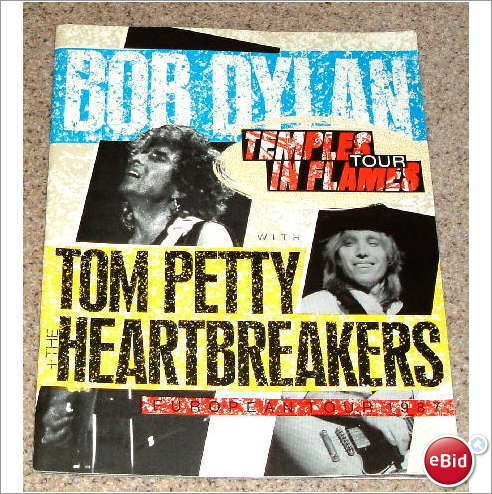 So to celebrate my 39th and Bob’s 69th, I have dug up a link where you can download a concert from Bob’s ‘Together and Alone’ 1986 tour with Tom Petty & The Heartbreakers. My memory of this show includes Bob adorned with big bauble earrings and leather vest, Tom smoking one of the biggest joints I have ever seen, Mike Campbell’s shredding solo in So You Want To Be A Rock’n’Roll Star and rousing versions of Rainy Day Women #12 & 35, When the Night Comes Falling, Ballad of a Thin Man and Positively 4th Street. And as a thank you to everyone who posted their favourite tracks on my recent Dylan post, here’s a treat for you… I have rummaged around to come up with clips of ten of the songs as a way of saying thank you. On Wednesday May 26, Confit Bistro (4/9 Doggett St. Fortitude Valley) hosts its monthly celebration of live art and food, The Back Room. Confit Bistro provides the stage for local artists and alongside good food and wine, aims to bring art, life, love and the discourse on such into our lives. this Lost Shark performing two sets w/ Sheish Money & Jane Sheehy, including a tribute to Bob Dylan to (belatedly) celebrate his 69th and my 39th. The bar is open from 6.00pm and an exquisite tapas styled menu is served throughout the night. There is no cover charge and table seating is limited, so ask yourself… poetry or football? To choose poetry call (07) 3254 4001 to book your seat! To get myself ready to ‘grab some world’, I have been firmly ensconced in my reading chair with a copy of Robert Adamson’s ‘The Clean Dark’. 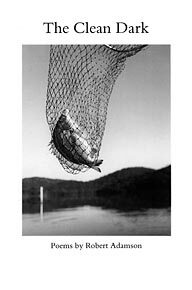 The Speaking Page (the title poem of the second section of the book), has long been one of my favourite Adamson poems, brimming with his classic Hawkesbury River imagery, so I was thrilled when I came out to the computer and discovered this short film of the poem, read by Robert Adamson with images by his long time partner, Juno Gemes. 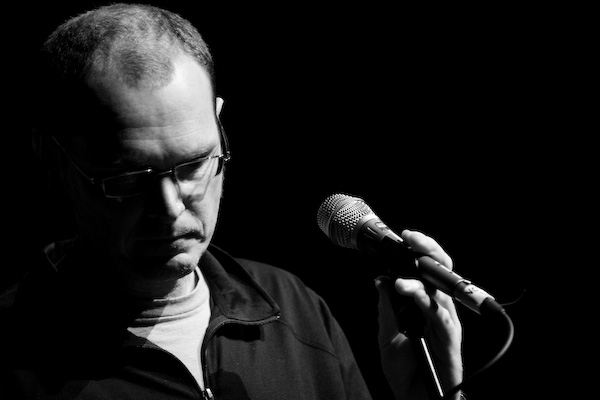 So if you too need a fix of the ocean and a hit from one of Australia’s finest living poets, look no further than The Speaking Page.